Grandma's Sugar Cookies will melt in your mouth! I use a secret family recipe and Grandma's original rolling pin to bake these yummy treats. I have over 400 shapes available to choose from! The cookies can be personalized especially for you and are a perfect addition to weddings, birthdays, holiday celebrations, and more! 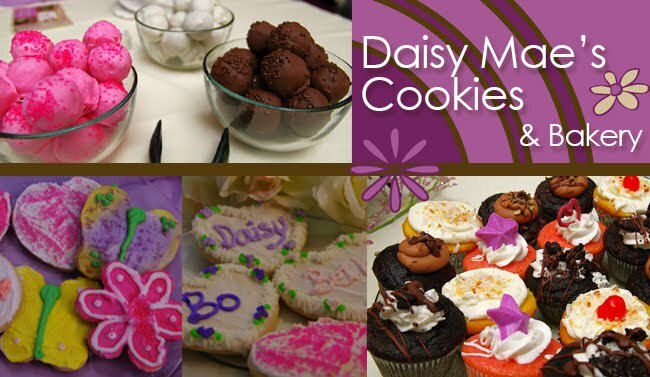 Why send flowers when you know they will love Daisy Mae's cookies?! I hope you are the person I ordered cut out Christmas cookies from last year. If it was you you delivered them in a snow storm and they were wonderful. I would like to order 2 dozen more this year. I would like them not more then 3 days before Christmas. 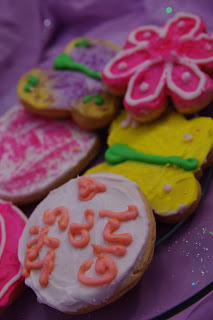 Do you do sugar cookies that are decorated for an 18th birthday?